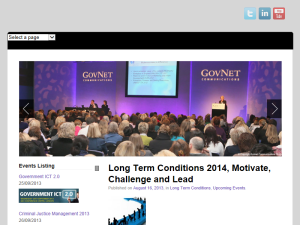 GovNet Communications is the leading Public Sector publisher and events organisation. This blog contains all the latest news on upcoming events and information on past events. This what your GovNet Communications Blog Ad will look like to visitors! Of course you will want to use keywords and ad targeting to get the most out of your ad campaign! So purchase an ad space today before there all gone!